Why does iPad Keep Restarting? How to Fix it? Why iPhone Stuck? How to Fix? This article was updated on March 22, 2018. On 2017/12/02, most of iOS device users experience some glitches such as recurring notifications such as reminders from medical apps or work out apps, as well as rebooting problems. Apple confirmed that the problem is definitely associated with the iOS 11.1.2 update. How to Fix it iOS 11.1.2 Restart Bug? 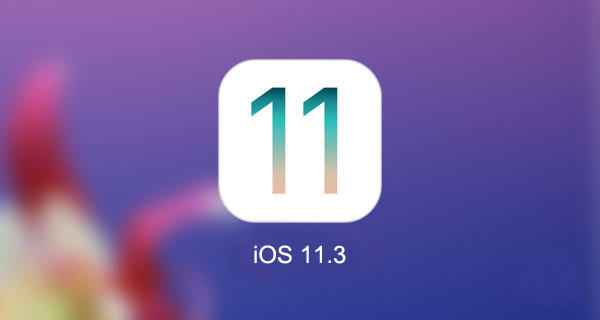 Apple quickly released a new update to fix the iOS 11.1.2 restart bug. It is now available everywhere and iOS users should be able to install it on their device over-the-air. First make sure to create an iCloud backup as a precaution. You will also need a working internet connection for the update process. Now launch Settings app on your iDevice. Select the Download and Install option, you will be asked to enter your Passcode, enter it. Now Agree to the shown Terms and Conditions. And then tap Agree again when prompted. The new software update will start downloading automatically. This is a temporary fix introduced by Apple. You will need to change the date to anything that is before 2017/12/02. Launch Settings app on your iDevice. Navigate to General > Date & Time. Now set the date and time that was in the past. Reboot your phone. The problem should be fixed now. As the problem is directly tied to the notifications received from reminder apps. You can disable them to fix the rebooting issue. 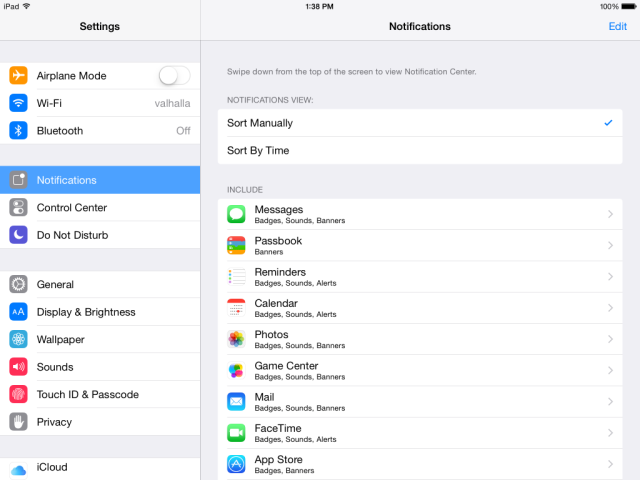 Launch Settings app on your iDevice and tap on Notifications. Now select an app and turn off the Allow Notifications option. Repeat the above step for other reminder apps. Some users on reddit have had success fixing the rebooting problem by turning off background app refresh. The process to do this is simple. 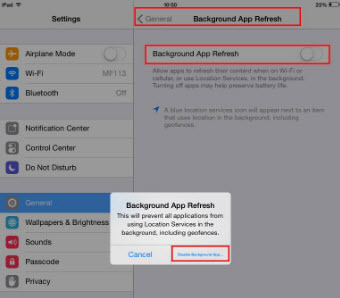 Navigate to General> Background App Refresh and disable it. If none of the above mentioned fixes worked for you then you can try to reset all the settings of your iDevice. According to some users, doing this fixed their rebooting problem. 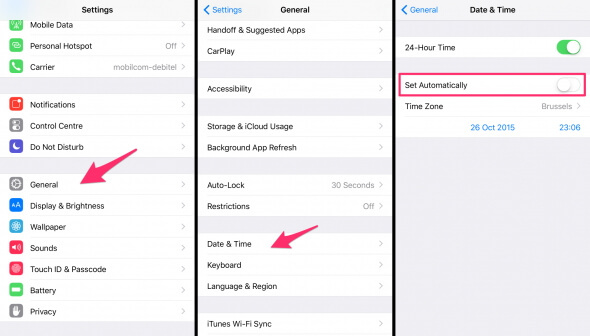 Navigate to General>Reset and select Reset All Settings option. If the above methods don't work, then try to completely reset your device. 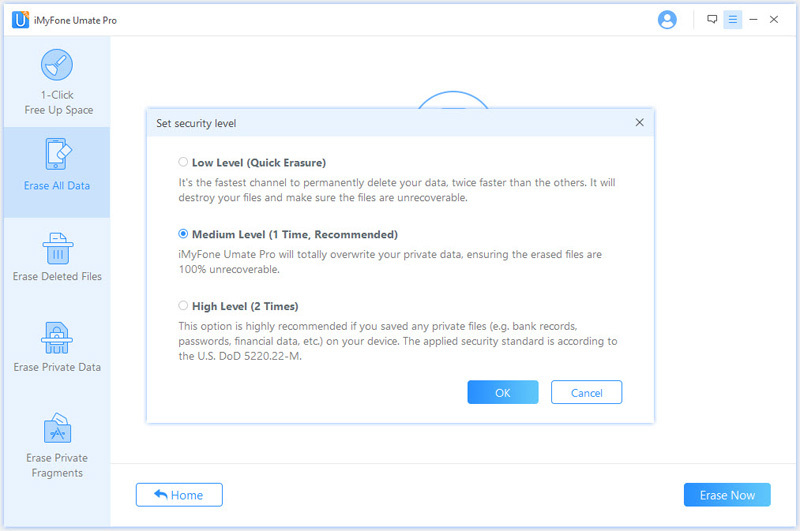 iMyFone Umate Pro is a powerful third-party tool that is designed specifically for iOS users to completely reset their iDevice and make their iPhone totally a new one. You can use this software to reset your iPhone and optimize iOS performance, in this way chances are high that the reboot problem on your device will be fixed. Furthermore, the software also offers tons of additional features as well. 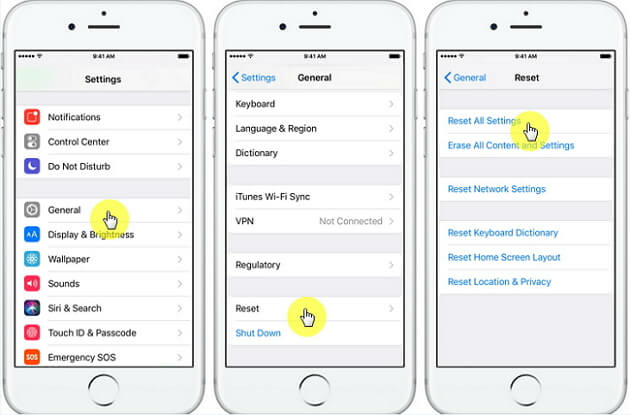 Completely reset iPhone setting and erase all data from your iDevice to improve iPhone performance. 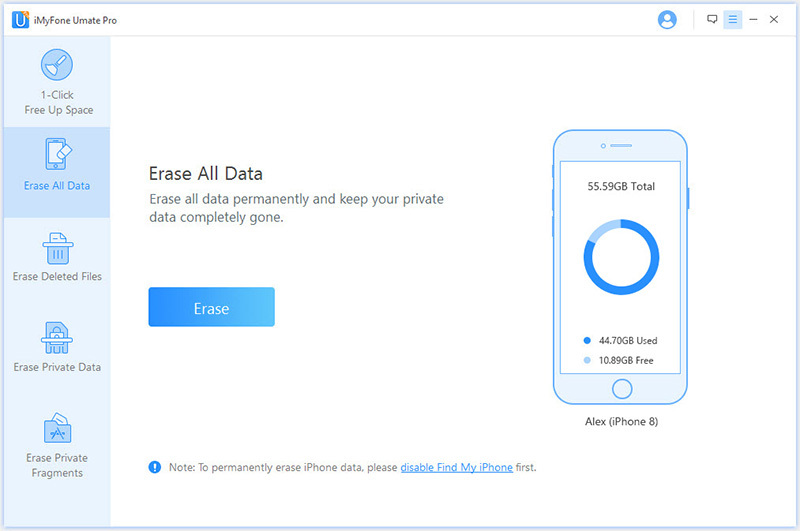 Permanently erase your data from your iDevice and make it 100% unrecoverable so that no one can recover it. 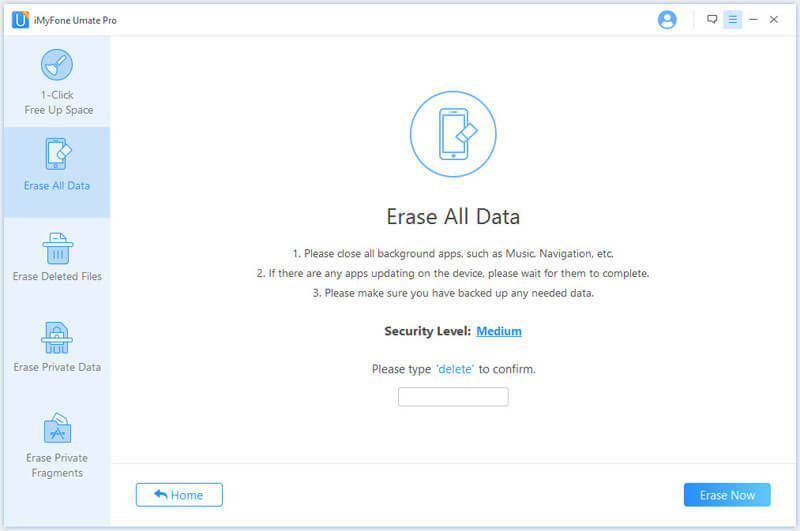 You can also permanently erase third-party app data with this tool, such as WhatsApp, Viber, Kik, etc. Preview data before deletion so you can make your selections efficiently. Already deleted data can be permanently erased with this software. Step 1: Install iMyFone Umate Pro on your PC then launch it. Step 2: Connect your iPhone to your PC via USB cable. Step 3: Now choose Erase All Data option from the sidebar of the software. After that, click on the Erase button to proceed. Step 4: On the next page, you will be asked to type ‘delete’ in the given textbox to confirm your action. Type the word. Step 5: You can also select the erasing level by selecting the corresponding option. Choose any option from low, medium, and high level and then click on Erase Now button to start the reset process. How to Block Calls on iPhone? Find Your Answer Here! How to Turn Off iPhone Xs (Max)? Learn the Details Here!